Whether you are spending a few days up north in Rasht or vacationing down south to Shiraz, you will witness striking dissimilarities in the kind of foods people savor. This is what makes Iran one of the much-loved countries by gourmets the world over. One of the best hobbies of Shiraz people is testing new restaurants and having new dishes. That’s why there are numerous and various restaurants, fast foods, international restaurants and cafés in the city. So as a traveler you might not find it hard to find your own kind of food in Shiraz: Kalam Polo, a great variation of rice and staple in Iranian cooking, reminds the name of Shiraz. This would be your favorite food if you are good with cabbage. 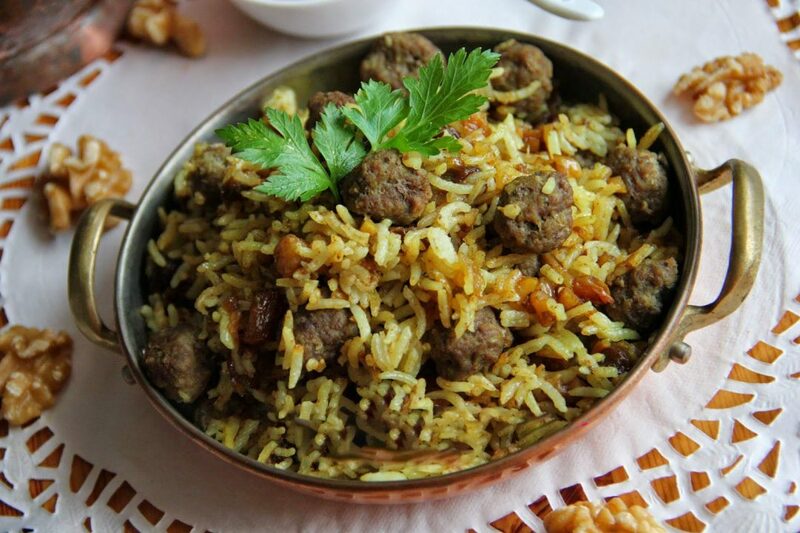 Kalam polo is the well-cooked combination of rice, herbs, small meatballs and cabbage. Enjoy Kalam Polo with a side of Salad Shirazi, Sabzi, fresh herbs, or torshi (pickled vegetables).If you are a foodie, Uppersia invites you to the Iran culinary tour and see what awaits you in this appetizing tour.